More than 2 in 3 adults are considered to be overweight or obese. And unfortunately, 85% of those who do lose weight through dieting gain back the weight in a matter of months — usually with an addition 20% more weight than when they started. Maintaining your ideal weight may be the single most important thing you can do to increase your long term health, well-being and longevity. It is one of the greatest gifts you can give yourself — a gift that can last throughout your entire life. While for many this may seem difficult, it is not an impossible dream. The Solutions Coaching Team’s Lifestyle Weight Management program weaves together research-based methods and tried-and-true practices that will help you reach and maintain your ideal weight for life. To fully understand our philosophy, you must first understand what this program is not. This is not a crash diet or a bikini diet; we do not promise that you will lose 10 pounds in 2 weeks; we do not push dangerous diet pills or specially packaged foods. These methods of weight loss have proven to be ineffective in the long run and they can even cause lasting damage to your body. Diets are temporary. If you want to lose weight and keep it off, you must change your lifestyle habits. Our program is not a diet, but rather, it is a lifestyle. Our system relies on scientifically-proven methods for permanent weight loss. This program is an integrated approach that combines proper nutrition, exercise, the development of healthy habits, and a educative and supportive environment. Our program not only teaches you how to eat healthfully, but also how to find within yourself the motivation to succeed, how to change your thinking to ensure success, how to find a form of activity or exercise you will enjoy doing daily, how to create the time and energy for a healthy lifestyle, and how to solve the problems that may arise during lifestyle change. 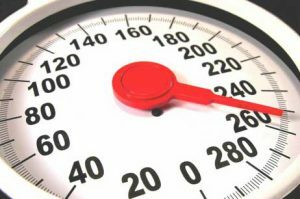 What do we mean by weight management? It’s taking steps to make sure that you have a healthy amount of body fat. Weight management means losing excess fat—and keeping it off. Weight management is a long-term effort of losing weight in a steady, safe way and maintaining a healthy weight for life. It’s not just about losing the weight but about keeping it off permanently once it’s lost. That means learning techniques that help you change the behaviors that had previously added weight to behaviors that help you remain at your idea weight for the rest of your life. What do we mean by lifestyle weight management? Lifestyle weight management refers to making behavioral changes in lifestyle and thinking that have together created one’s current weight problems. Such behaviors as consuming more calories than your body needs through the things one eats and drinks, a sedentary lifestyle with little or no exercise, and even emotional issues may all work together to dangerously increase one’s weight. Lifestyle weight management takes all these issues into consideration to help you create a new and easily maintained way of living that can reverse these trends for a lifetime. Why is it important to manage your weight? What’s involved in weight management? Finding a balance between these methods is the key to maintaining a healthy weight over a lifetime. After years of healthy eating and a fairly active lifestyle, I found myself becoming more and more sedentary. Where before I had been employed in a combination of both physically demanding and somewhat sedentary jobs, I was now spending most of my day at a desk. At the same time, my healthy eating habits had been replaced by the typical Western diet of high fat, high calorie foods that were readily available and tasted good. As a result, my weight ballooned and my health started to decline! One day while taking a deep breath and pushing my belly out of the way in order to bend over to tie my shoes, I decided that things had to change. A scale and some quick research told me I was 50 pounds overweight – by current standards, I was obese. This was not the kind of information I wanted to discover. In fact, I was very surprised my doctor had said nothing about the weight at my last visit. I never dreamed I would one day become obese! I knew I needed to lose weight, but I knew nothing about dieting. So, being scientifically and academically inclined, I started researching diets, obesity, and weight-related health problems. What I discovered was very discouraging. American is a nation of overweight and obese yo-yo dieters who moved from one diet to another…losing and regaining the same weight over and over. There had to be a better way. The science began to paint a fairly clear picture of what was needed in order to successfully lose weight and keep it off. It came down to 4 simple things – a proper and healthy way of eating, regular exercise, a change in behaviors, and a change in habitual thinking patterns. Unfortunately, none of the many diet books and programs I looked into really brought all these pieces together in a way that would create a livable and sustainable healthy lifestyle. I decided I would take a stab at creating my own program. A weight management program that was based on the best lifestyle change science available – the sciences of nutrition, exercise physiology, cognitive and behavioral psychology, and general health. The exercise physiology was relatively easy. I started going to the gym, hired a personal trainer, and started learning about the science behind effective exercise that could help me lose weight and make me fit again. My research and my personal trainer made it very clear that one of the most important things I could do for my current and future health was to establish a regular exercise routine that I could actually follow for the long-term. A healthy way of eating and the psychological changes were not as easy to put together. After 3 months of reading and synthesizing every journal article I could find on weight management, the contents of all the respected nutrition-based websites, and most of the diet books then on the market, I developed a way of eating that I felt certain would be healthy, sustainable, and most importantly, enjoyable. My background in psychology and additional research on current thinking about cognitive and behavioral changes associated with successfully weight management was the next thing to tackle. I found an abundance of great research in this area and was able to put together a program of thinking and behavior changes that I believed would assist me in my lifestyle changes. Six months after I starting making the lifestyle changes I had laid out for myself I had lost 30 pounds! I was in better shape than I had been in years. I was enjoying healthy meals that tasted great, and was still able to enjoy a decadent dessert from time-to-time without guilt or adverse affects – chocolate cake or carrot cake being my decadences of choice. In short, I was eating well, I felt physically amazing, and I was happier than I had been in a long time. At the end of that year I had reached my goal – I had lost 50 pounds! And now, almost 4 years later I have kept the weight off. I continue to enjoy the daily exercise programs I have used during this time. And best of all, my overall health is better than I can ever remember it being. Oh, and by the way, my new doctor is very pleased with the results! Before you begin any weight management program, it is important to know just where you stand regarding your current weight. Are you overweight? Are you underweight? Or maybe your fall in the obese category as I did when I created this program. Imagine my surprise when I discovered that I was 50 pounds overweight and obese! Curious about where you currently stand? Use the handy BMI calculator provided by the CDC. This body mass index calculator is based on the standard BMI measurement that takes your weight and height and tells you if you have an unhealthy body weight. It works for adults, both men and women above age 19. It is a good indicator of the amount of body fat you have, which is directly related to the risk of various diseases and early death. The official formula, which is used in this BMI calculator, is weight(kg) / (height(m) x height(m)) (it can be adjusted for different units like pounds and inches). One limitation of the BMI system is that it doesn’t distinguish fat from muscle (which weighs more than fat). However, that really only matters for body builders, athletes and other people who have developed a lot of lean body mass. The BMI system was designed for an average person, and most people don’t exercise regularly and need to lose some weight! You can read more about the Lifestyle Weight Management program in greater detail here.